For many of you who have been following my fitness journey on social media, you might have noticed that I have become a little quiet about my progress of late. The truth of the matter is that I gave up. I let the stresses of college finals and coursework get on top of me and turned to junk food for comfort. I didn’t have time to squeeze in my exercises or prep my food so instead, I simply turned to quick fixes and takeaways. 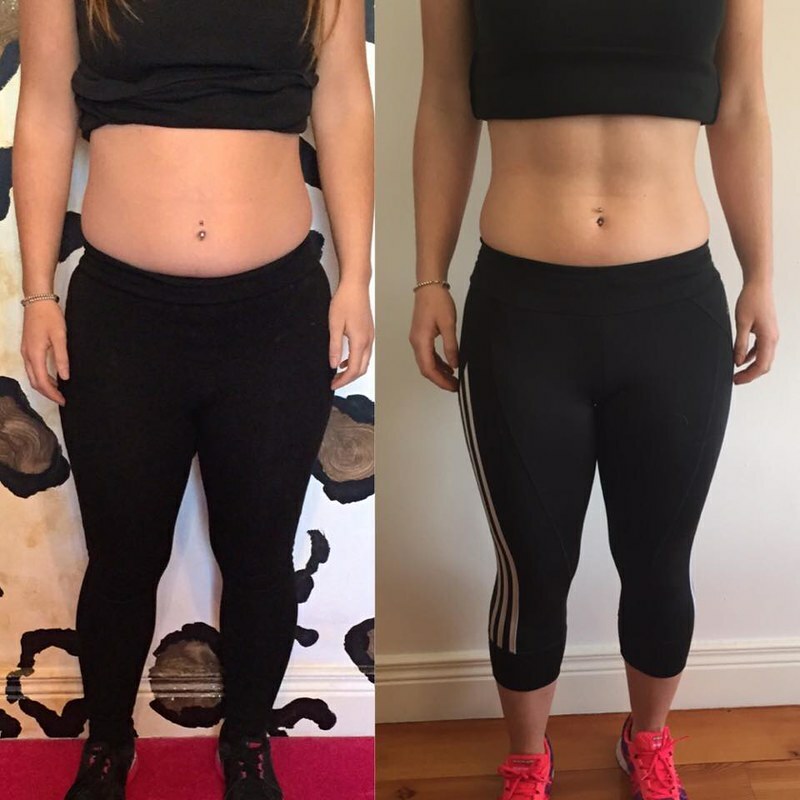 When I look at the above progress picture, which was taken only two weeks into my 6 week online bikini body program with Lisa McDevitt, I get really annoyed at myself for falling off the band wagon. When I was in the midst of the program, I felt amazing. I also became really inventive in the kitchen too and was experimenting with many ways of making a breast of chicken and some kale a lot more appetising. With the right blend of spices, I actually surprised myself and really enjoyed the food. Its a perfectly balanced nutrition plan which includes every food group. Lisa doesn’t believe in depriving yourself of carbs or fats, she has everything listed in moderation with the healthiest options in each food group included each day. This was the most important element for me as I have tried “no carbs” and “calorie counting” before and these just didn’t work for me, this plan is just straight up wholesome foods, no gimmicks or trickery. I must stress that I never began this program to lose weight, I began it to become healthier and change my lifestyle, the physical changes were just an added confidence boost. This was by no means a starvation diet, we were allowed 5 meals a day and only half an hour of exercise. Definitely much easier to follow than some of the crazy fad diets that I had tired in the past. Lisa herself was also always on hand to help and advise if you had any queries. Its a crazy vicious cycle that provides a short term solution to a craving or a lack of energy. I did plan to pick up from where I left off with the program but I now plan to just start from the beginning and give it another go. I just have to look at my picture above to see how well that I did and the incredible results that I achieved. I highly highly recommend Lisa’s 6 week online bikini body program. You don’t need any equipment or previous experience, you just need to be determined to achieve your goal. There is still time to sign up to the June program which begins this Monday the 8th June. All you have to do is get in touch with Lisa yourself on her Facebook page – Lisa Dee Fitness and you could be on your way to starting your journey to a healthier you.